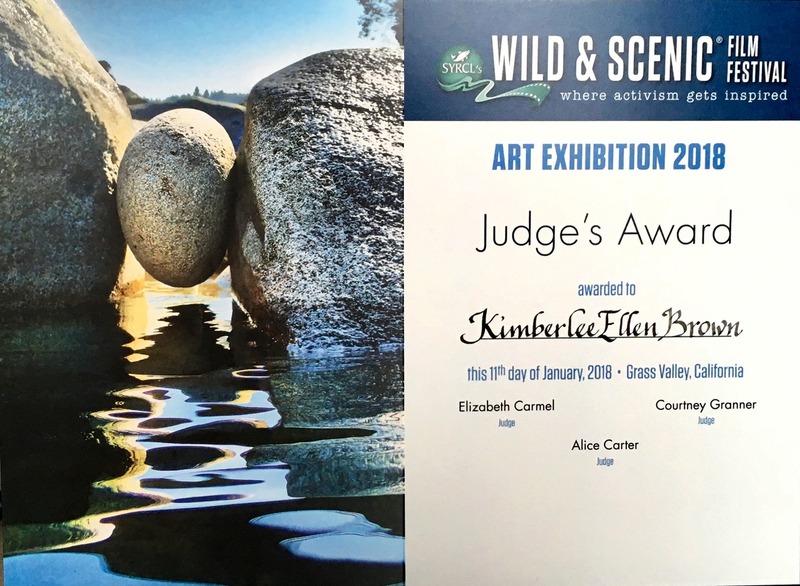 When I submitted a few of my artworks to be juried for showing at the art venue for the Wild and Scenic Film Festival here in Nevada City, I didn't realize there was also a competition involved. Not until I heard that I had been selected to show did I learn that they would also be giving out awards. 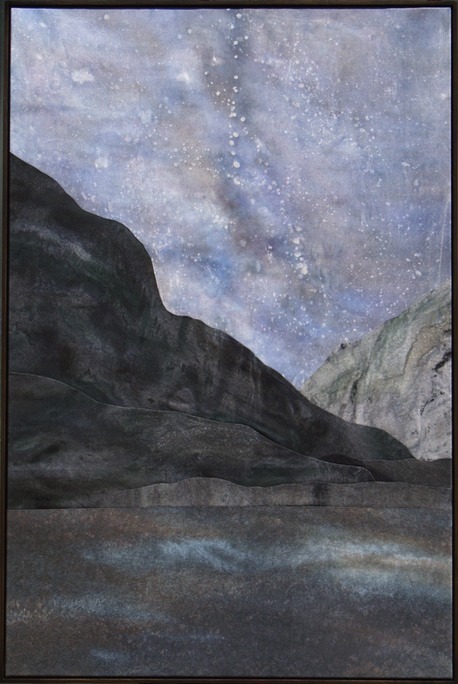 I have never entered my art in any competition before so I was stunned when my name was called at the opening art reception. The Wild and Scenic Film Festival is an incredibly inspiring and well attended venue. I was truly honored to be a part of it! Surrounded by all these people who are working so hard to help shed a bright light on some of the most important issues of our time, finding solutions for these issues and expressing a deep love of not just nature, but all of our planet. A love I obviously share with them. To learn more about the festival, click here for their website. To see a photo of myself with the other award winning artists, click here. 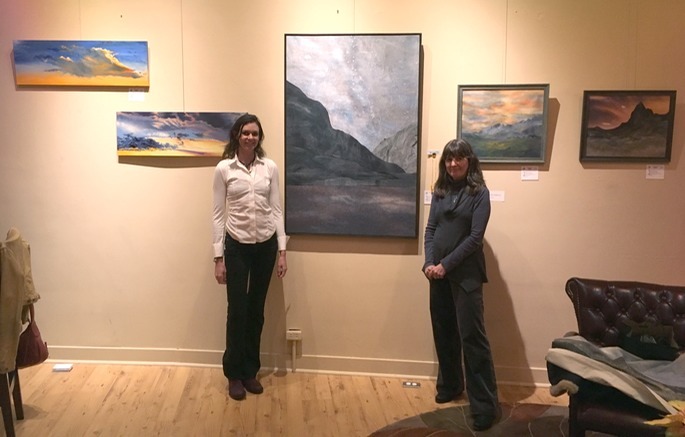 Below is a picture of myself with artist Erica Johnsen and her gorgeous sky paintings, also juried into the show. We all thought our artworks complimented each others' very well. Our works were displayed at Avanguardia Wines Tasting Room in Grass Valley where we also sampled some very delicious wines. Thank you to Rob and Marilyn Chrisman for showing our art at their lovely tasting room!